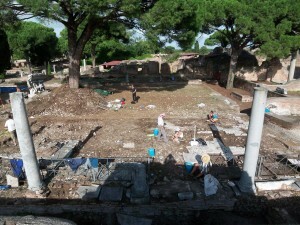 One of the main purposes of the Kent-Berlin-Ostia excavations KBO (/BKO) 2008-2011 was to uncover and record the late antique pavement of the monumental city centre. The Kent and Berlin teams worked together at the Foro della Statua Eroica (FSE, see picture to the right). 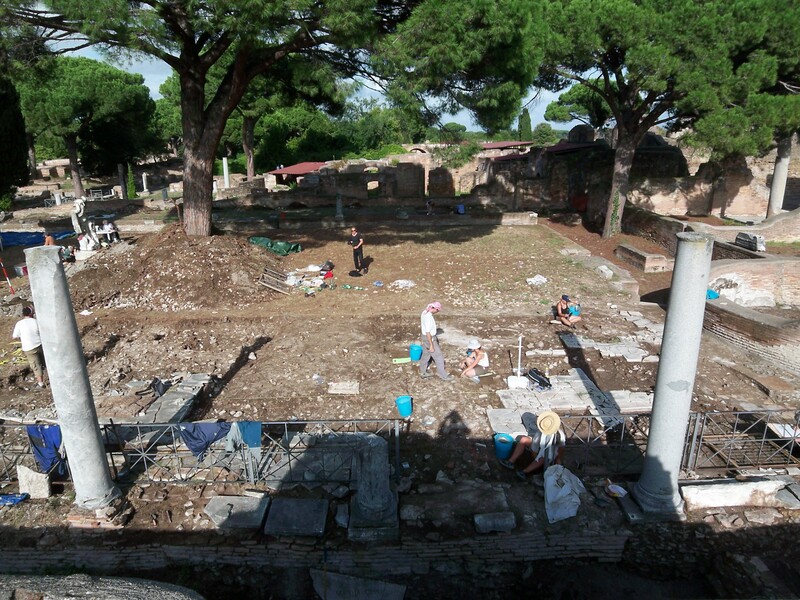 In other areas, the Kent team focussed on the Main Forum Sidewalk (MFS) and the Palaestra at the Forumbaths (PFB), and some fountains along the Decumanus (FSEN, PDV, NBV), the Berlin team concentrated on the Main Forum porticoes (MFW and MFP), the Main Forum Rooms (MFR), the Casa della Basilica (CDB), the Aula del Buon Pastore (ABP), the Via della Forica (VDF) and others (see section Forum Plans).